The CMS will approve requests coming in from various states to impose work requirements on Medicaid enrollees, according to CMS Administrator Seema Verma. While only a handful of states have asked for waivers for the requirement, others could follow. "These are individuals who are physically capable of being actively engaged in their communities, whether it be through working, volunteering, going to school or obtaining job training," Verma said at the National Association of Medicaid Directors conference on Tuesday. "Let me be clear to everyone in this room, we will approve proposals that promote community engagement activities." Verma said the agency will adjust its workflow to accommodate those requests. The move could drastically change the direction of Medicaid. But experts say the CMS will likely face legal challenges to the waivers if granted. Verma's remarks come days after New Hampshire became the latest state to submit its request to impose work requirements in its Medicaid enrollees. Arkansas, Arizona, Indiana, Kentucky, Maine, Utah and Wisconsin also have pending requests waiting for approval. Given Verma's past experience as a consultant drafting these types of policies for states like Indiana, it was curious that the agency hadn't already approved the requests. Kentucky has been waiting for over a year for a response. Opponents of the work requirement policy say it's a contradiction of the purpose of Medicaid, which was established by Congress in 1965 to provide coverage to low-income people. The CMS can only offer waivers in states that want to experiment in Medicaid but continue to ensure coverage for low-income people, said Eliot Fishman, who oversaw 1115 waiver demonstrations for the Obama administration and is now senior director of health policy at Families USA. But work requirements could cause as many as 11 million people to lose coverage if every state imposed them, according to a Health Affairs study published earlier this month. Despite giving people with disabilities an exemption from the requirement, many beneficiaries may have physical or mental limitations that prevent them from working, but don't qualify them as disabled. "A work requirement is illegal on its face," said Leonardo Cuello, director of health policy for the National Health Law Program. The Health Affairs study notes that the waivers do not take into account that some people in active treatment may not technically be disabled, but really can't work. "Imagine someone in the middle of cancer treatment being terminated from their health coverage," Cuello said. Verma said the Obama administration's opposition to the waivers contradicted its approval of waivers that created voluntary work programs for people with disabilities. "For people living with disabilities, the CMS has long believed that meaningful work is essential to their economic self-sufficiency, self-esteem, well-being and improving their health. Why would we not believe that the same is true for working age, able-bodied Medicaid enrollees?" Verma said. "Believing that community engagement requirements do not support or promote the objectives of Medicaid is a tragic example of the soft bigotry of low expectations consistently espoused by the prior administration." Verma believes the core objective of the Medicaid program is to serve the health and "well-being" of low-income individuals and families, according to a CMS spokesman. And that requiring able-bodied adults to work meets that standard by improving their quality of life and possibly moving them out of poverty. Sara Rosenbaum, a professor health policy at the George Washington University, isn't convinced. "How do you focus on a person's 'well-being' without considering healthcare coverage?" she asked. "The issue is whether it is Medicaid's business to not only promote work but to condition the health coverage Medicaid is designed to provide on work," she said. Verma did not indicate how soon the outstanding waiver requests would be approved. But she did say the agency would be making changes to the Medicaid waiver process. State waivers can last up to 10 years if they are shown to be successful. That's up from the usually three- to five-year period in place now. 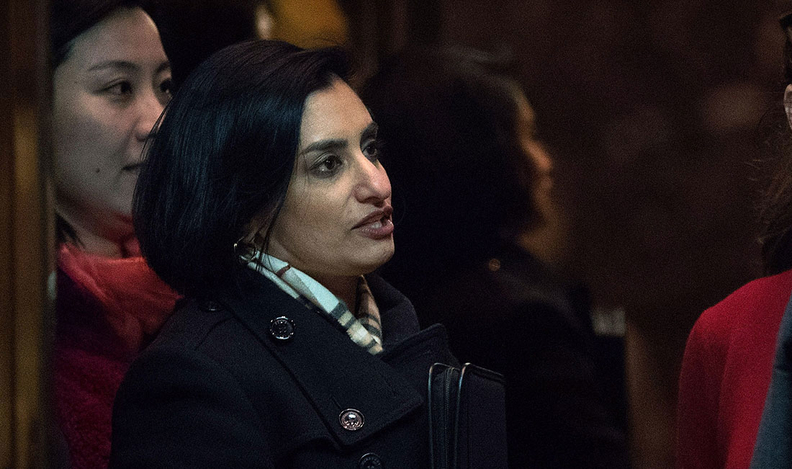 "This will relieve the burden of states having to come back to the CMS time and time again, increasing administrative costs for taxpayers, and detracting our focus from improving the health outcomes of our beneficiaries," Verma said. Mann questioned whether federal law allows 10-year waivers. HHS can not permanently change a law, it only has the authority to approve experiments that maintain the original intent of the law. "The question is whether a 10-year waiver approval is no longer an experiment, pilot or demonstration and therefore exceeds … authority," Mann said.